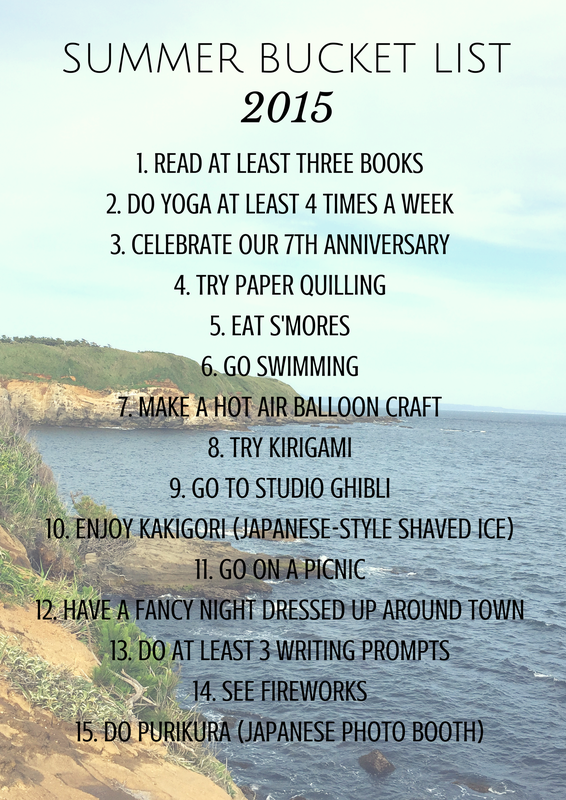 I know we’re already a couple of weeks into summer, but I’m finally getting around to sharing this summer’s bucket list with you. I noticed there are surprisingly fewer items to be checked off this year than in years past, but I think part of that is because I won’t be getting to make jams or pickles and that sort of thing while here in Japan (I just don’t want to invest in all of the necessary supplies when I’m not sure when we’re moving back and I’ve already got all the supplies all in Michigan). Nevertheless, I think I’ve still got some fun things/goals to check off my newest list. I’ve already finished my first book of the three I’m aiming to read: The Miniaturist. The book was given 4 out of 5 stars, took place in Amsterdam, and seemed really intriguing, so I decided to read it. During the first half of the book, I couldn’t put it down. All I wanted to do was read more and more. However, the second half of the book just led to one depressing turn after another, ending in nothing but unresolved mysteries. I felt almost cheated by the lack of any resolution! Perhaps my next book will give me more satisfaction–I’m just beginning to dig into Keys to Good Cooking (I know! An entirely different genre entirely. I like to change things up from book to book). Anyway, that’s my list for this summer. Have you got anything fun or new you’ll be doing this summer? I’d love to hear about it! Previous Post Spring Bucket List Update!